AnaPath can offer several technologies for special evaluation and for solving unusual challenges in pathology. The 3D confocal laser scanning microscopy allows us to study and imaging surfaces at high resolution, with a magnification up to 17,280x. Implant surfaces before and after implantation can be compared and the defined ISO parameters for surface roughness can be generated. This technology gives us the option to solve a broad diversity including but not limitied to medical devices, sperm and blood smear evaluations. 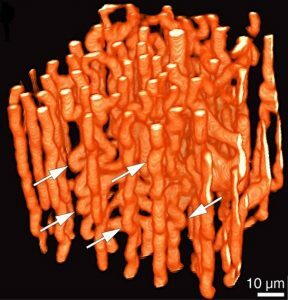 Digital microscopy with up to 5000x magnification and 3D presentation can image non-fixed biological materials for pathology evaluation. Within our facilities and/or by our partners we can offer a range of tests and technologies including: mechanical testing, hyperspectral microscopy, µCT, scanning electron microscope, transmission electron microscope and XRD. 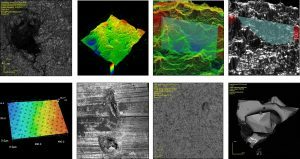 Hyperspectral imaging enables localization of test item within tissue sections. 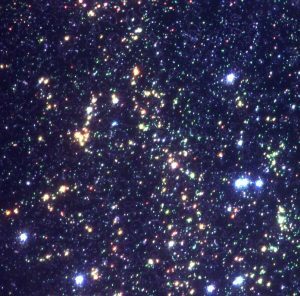 Two dimensional dark field images have an additional spectral dimensional plane. Meaning that Each pixel of a hyperspectral image provides the complete reflectance spectral response of that pixel’s spatial area within the VNIR spectral range. This enables nondestructive spectral measurements of nanoscale elements in the full spatial context of the sample image. 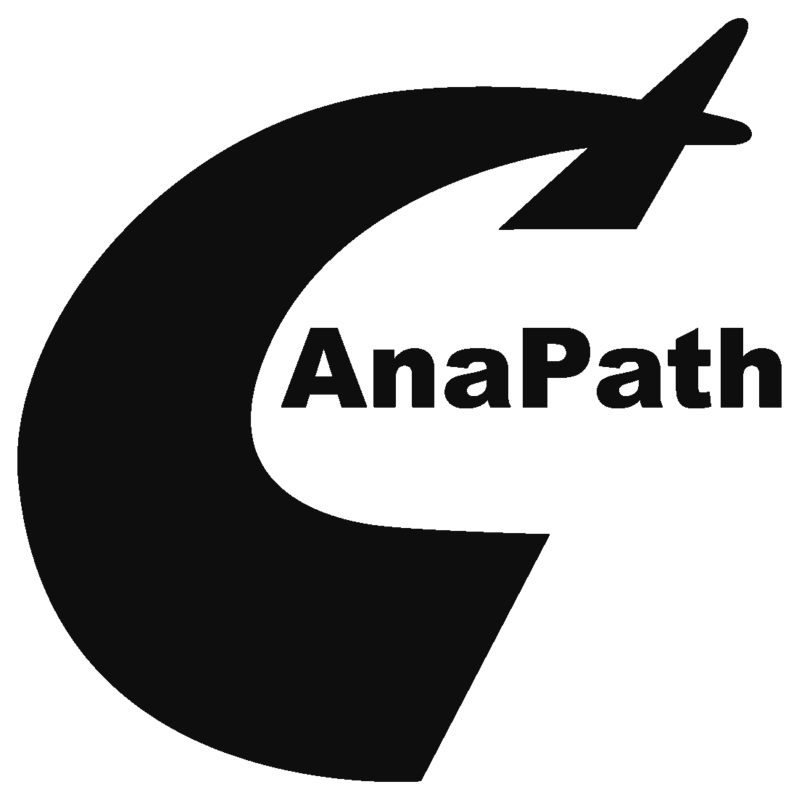 AnaPath has established a large variety of measurements for quantitative data to prove different endpoints. Experienced scientists and pathologists can also help making customize measurements, designed to demonstrate special endpoints specific to your device. Morphometry is not limited to hard tissue and is routinely conducted on soft tissue samples. Full section images can be obtained using our slide scanner. 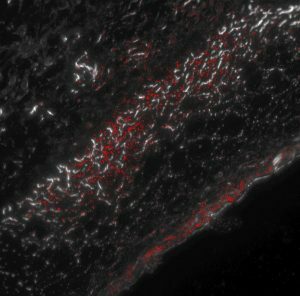 Perfusion with a new unique contrast agent and scanning with a regular commercial µCT give us the unique opportunity to study the effect on the vasculature by your compound, including the finest capillaries. 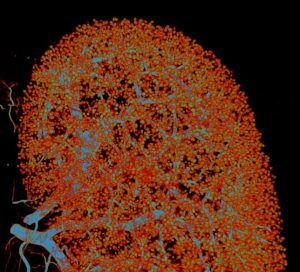 The volume of the vessels and the size distribution can be quantified.